John Wilkie is the “Scarlet Pimpernel” of parking cases, as shown this week, when not only did he not turn up in Southampton for a case that was won, he also didn’t turn up in Carlisle to help win a case, or in Dudley to help win a case, or even to help win a Spinningfields case – all wins reported by the Prankster, and where, according to some online reports, Mr Wilkie was expected by the Parking Company. John Wilkie pops up anywhere. And so he popped up in Oldham on Monday, where De Minimis was the original argument. Miss Bradsell parked in a car park which was free after 6pm. The car park was almost full, and a previous driver had parked slightly over the line, which meant all other drivers had also parked slightly over. Miss Bradsell and her friend therefore also parked slightly over. No spaces were lost because of this intelligent response by the line of drivers. However, when Miss Bradsell returned she found the entire line had been ticketed. Mr Wilkie arrived to represent Miss Bradsell. Strangely, despite her poor showing in Stockport just a week previously, Ms Jackson, a solicitor's agent, arrived to represent Elms Legal who were representing BW Legal who were representing Excel Parking Services. The Judges comments on right of audience were exactly the same as he politely showed her the door, stating that Elms Legal will really need to reconsider their position. On this occasion he did hand a copy of the “authority” letter to Mr Wilkie, but there was, as he stated, no Authority in the letter, simply instructions. Ms Jackson took her leave to take further instructions…. Following this, Mr Wilkie quickly took the judge through the error-filled witness statement, the illegible signs showing both IPC and BPA membership credentials, the contradiction in terms and conditions, and the fact that, far from being parked “taking up two bays” as claimed by the witness statement, Ms B was clearly parked as fairly as possible, not obstructing the car in the next bay. The judge, who also knew the car park intimately, and far better than the legal executive witness from BW Legal, gave a clear finding in favour of the Defendant, who was allowed her costs for attending. He gave some strong words in the judgment about Rights of Audience, but no-one from Elms or BW Legal, or even Excel was present to receive his wisdom, so no doubt the same will be occurring again and again this week against defendants who know no better. All in all any win is a good win. But this was an excellent win. The concept behind De Minimis is that "the law does not concern itself with trifles." So if the letter of a contract is broken, but the spirit is not and no harm has been done, then no damages for breach contract apply. 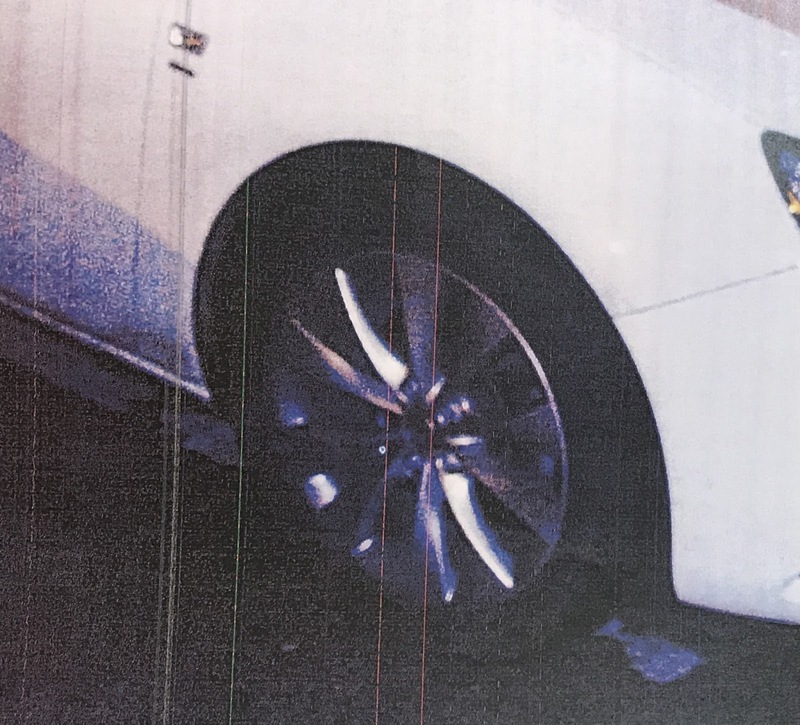 In this case the wheel protruded a few inches over the line, but this did not stop other cars from parking and so no harm was done. Premature release....it happens to the best of us. What a tease, Ms Jackson? Thats gotta mean a RoA fail, and you know that gets my juices a-flowing. Damn your embargoed pre-release fail. So are you saying that this blog post is on Stopped and not Parked? Are we supposed to be reading between the lines here? You are a tease PP.